Updated: 04.06.2018: If you only have one day in Cinque Terre, what should boomer travelers see and do? That was the question Alan and I asked ourselves as we planned a road trip in northern Italy. Our guide, Claudio Fontana of A La Carte Italy Tours, came up with the perfect idea. We’d spend a day in Cinque Terre traveling by train and boat to make the most of our time in this beautiful Italian destination. We visited Cinque Terre on the drive from La Tavola Rotonda in Chiavenna Landi to Lucca. Yes, it was a bit out of our way, but oh so worth it. Cinque Terre, the string of five villages perched along Italy’s rugged Ligurian coast, deserves more attention than just one day. But if you’re a boomer traveler who’s pressed for time, a Cinque Terre day trip exploring the trails that wind beside pastel-colored buildings, rocky outcroppings and secluded beaches will convince you the area is a worthy addition to the UNESCO World Heritage list. And, it’s better than not having visited at all. 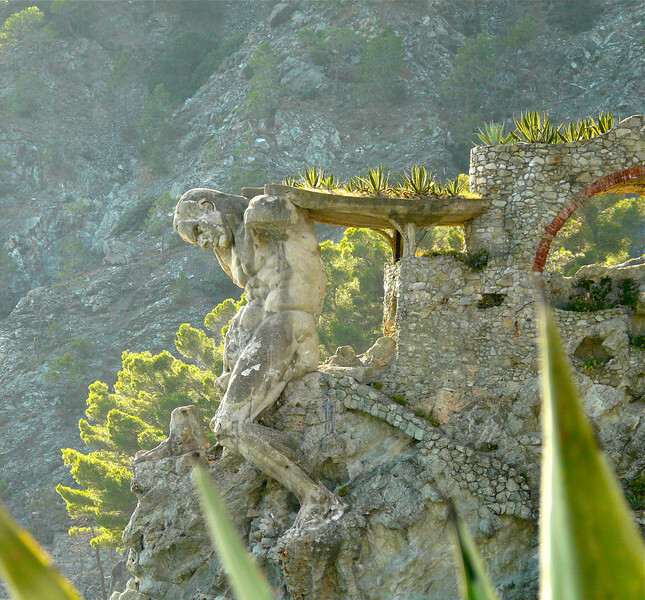 Neptune clings to the cliff at Monterosso. From the moment Claudio parked the van in the public parking garage at Riomaggiore, we were smitten. Alan and I daydreamed with travel companions, Jack and Sue, about someday spending a month here in a rental villa. Our baby boomer travel fantasy revolved around hiking the trails, visiting the vineyards and living like a local in one of the cliff-side villages. Although Cinque Terre is famous for its coastal hiking trails, our means of transportation included a train ride with return by boat. Starting at the station in Riomaggiore, after drinking yet another cappuccino in exchange for the use of a restaurant’s water closet, we boarded the train carriage with fellow tourists—many of them hikers—for the ride through tunnels gouged out of the rock interspersed with views out the window of craggy coastal scenery. One by one, the train stopped at Manarola, Corniglia and Veranzza before we disembarked at Monterosso al Mare, the last of the five Cinque Terre villages. Reported to be a bit more touristy than the others, Monterosso’s paved beach walk was sparsely populated during our sunny, October visit. But it wasn’t hard to imagine that travelers arriving in the summer would find themselves mingling with a crowd of tourists as they strolled the beach or frequented souvenir shops. We veered off the pavement to find a restaurant for lunch as the path made its way to the railway station. Seated on the patio of Barabba in White, a clear plastic covering pulled down to protect us from a slight chill, our group enjoyed fresh seafood with a glass of local Vino Bianco. The surf lapped at the sand, a seagull cried and Neptune’s statue, projecting from the rocky cliff, warned off any pirates plying the Mediterranean. A month in Cinque Terre? Where do we sign up? Later, on the slow ferry ride back along the coast to Riomaggiore, we sat on the open deck watching those same pastel villages passing by in progression as our daydream continued. Which village should be the location for a month-long stay. Did you see that trail leading to the village on top of the mountain? Let’s make that our first adventure. 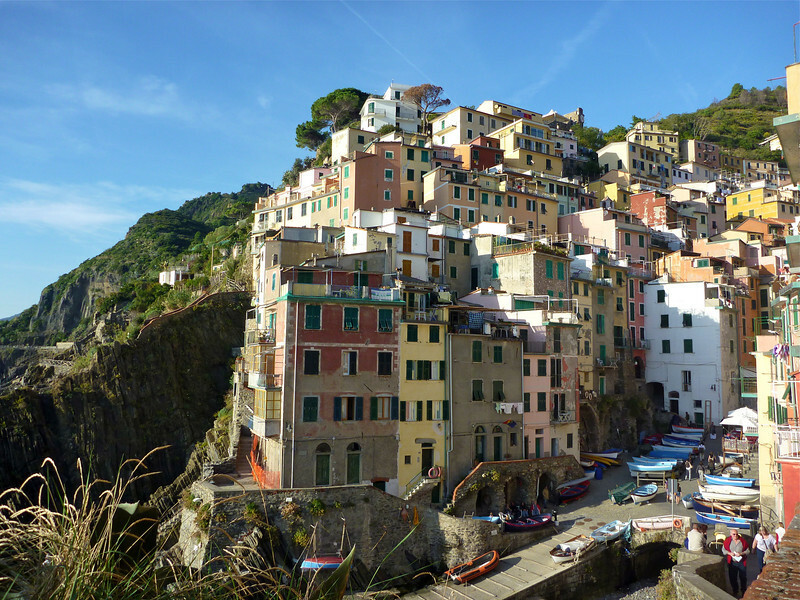 We’ll follow Shelly Ellidge’s tips in her article about hiking Cinque Terre. This 6-hour private guided tour from La Spezia makes a fun independent shore excursion to Cinque Terre. A word to the wise, if you are booking independent arrangements for a cruise excursion, allow plenty of time so that you don’t miss the boat! The cruise ship will not wait for latecomers, especially those traveling independently. Want to spend more time here? Click the link to start your search for hotels in Cinque Terre! Yes, we agree, one day is far from the time needed to experience this beautiful region on the Ligurian coast. But it will have to do until next time. One day, you’ll be reading about our month exploring the many things to do in Cinque Terre. We can’t wait! Have you visited Cinque Terre? Did you hike the blue path? 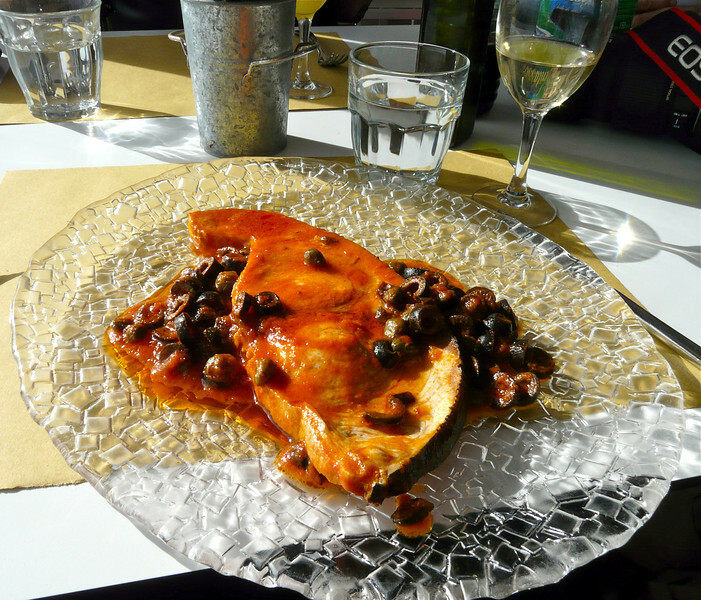 Or, like us, did you only have time to spend a day in Cinque Terre? Join the conversation at the My Itchy Travel Feet page on Facebook or send us an email to ask a question or share your experience. Click road trip in Northern Italy to read more about our 10-day journey. Use our suggestions to plan your own Italian road trip! Then use our Italy Travel Planner to make it happen. 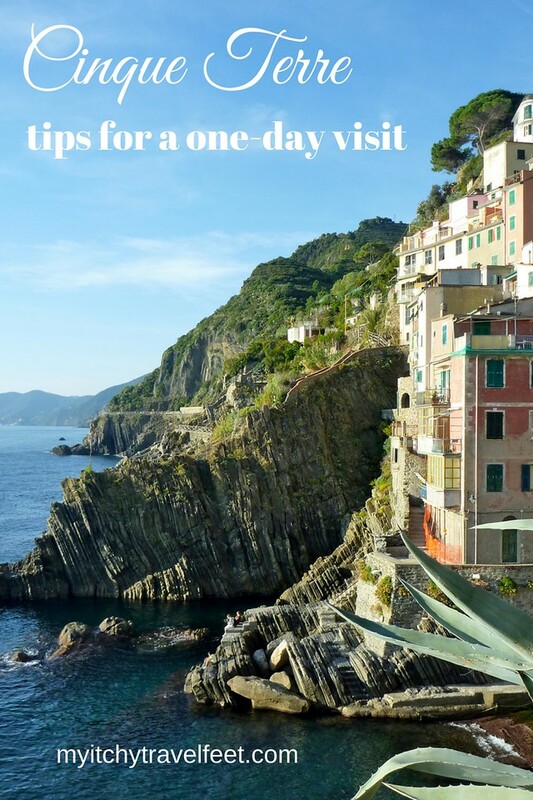 Save A One Day Visit To Cinque Terre on Pinterest! Group Tours: Are They For You?